Why advisors prefer ELSS as a tax saving product? Ask any financial advisor or planner about Tax Saving financial products, the chances are very high that he/she will recommend an Equity linked savings scheme (ELSS) as his/her top choice for investors with some amount of risk-taking ability. According to financial advisors and planners, there are several reasons for an investor to opt for ELSS over other similar Tax Saving financial products. For one, ELSS come with a three-year lock-in clause, meaning an investor investing in an ELSS has to stay invested in the fund for at least three years to claim the full tax benefits. However, in comparison, PPFs, another Tax Saving instrument that could be compared with ELSS, has a lock-in of seven years after which any limited withdrawal is allowed. Pre-mature withdrawal is not allowed if one invests in Tax Saving bank fixed deposits. A similar clause applies to life insurance policies although one could avail of some loans against policies. Investments in National Pension Scheme (NPS) are also locked-in till maturity, that is only after the investor turns 58 years. Going by the low lock-in period, financial advisor or planner select ELSS as the preferred investment product, provided the investor has the risk-taking ability to invest in such funds. The second reason for selecting ELSS over other competing products is the strong likelihood of superior return over the long run. Given that ELSS predominantly invest in stocks, the returns in the medium to long term, that is over five-year period, is in double digits. In comparison, although NPS returns for some of the funds are in double digits, but given the conservative investment style, the returns are in low single digits and less than the average returns by ELSS. Also returns from bank FDs are fixed and at current rates, they are in mid single-digits. Financial advisors and planners also say that often it is seen that investors invest in ELSS to save taxes but they withdraw the amount after the three-year lockin expires. They say that this is not a good strategy. Investors should continue to remain invested in ELSS for the long run to reap maximum benefit. 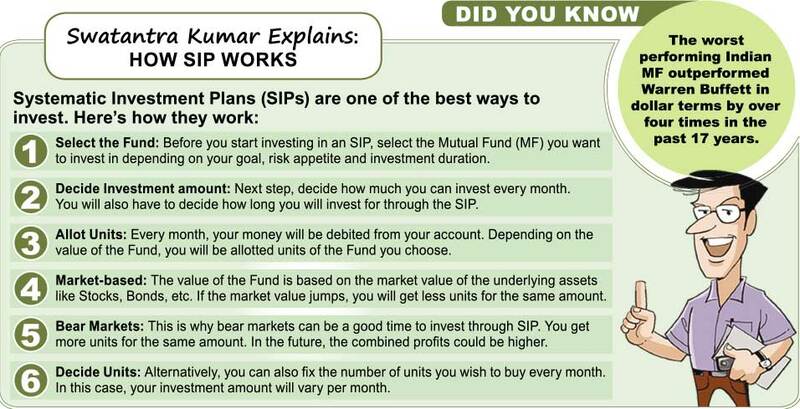 According to them even a better approach is to start a systematic investment plan (SIP) in an ELSS and continue to enjoy tax benefits year after year without burdening one’s wallet as the end of the financial year approaches. Industry data show that compared to a 15.4% annual return from large cap Equity funds over the last five years, ELSS have returned 19.7% while mid-cap funds have returned 25.6%. Here, however, the main point to remember is that while investments in ELSS come with tax sops, the same does not hold good in case of large cap and mid-cap funds.